My issue is T.38 pass through to Exchange 2007. Any help on missing pieces, trouble shooting, instructions, or examples would be appreciated. Thanks to anyone for any help. 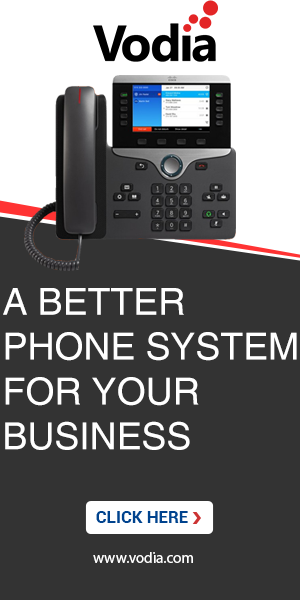 •	If called on a telephone line pbxnsip rings the phone and then passes the call on to exchange which answers and forward to exchange voice mail if no answer. Everything works great. Issues occurs now, it appear when Broadvox starts pinging port 0 instead of port given. In the m parameter of the SDP protocol I see a zero instead of a valid port# Could this be the issue. Yes that is definitevely a problem. Broadvox is usually quite responsive, would be great to have them provide this kind of service! Did you also ask them if they can do anything about it? Yes, I provided them the same info and will let you know what they say. From your standpoint this is something that should work and the issues appears to be on their side? Well, sending to port 0 is not an option in IP, so that must be changed anyway. If that was the last obstable? You never know! 1) see below we recieve an "INVITE" from exchange but passs it through to broadvox as a "UPDATE" can it be passed through as an "INVITE"? 2) and more important can we limit the protocols to just T38 so there is no choise? 1) There is a global setting called "support_update", if you set it to false the PBX will use INVITE (see http://wiki.pbxnsip.com/index.php/Global_Configuration_File on how to set it). 2) Yea, I agree that the audio with port 0 is really strange (well, that's how we get it!). Maybe Broadvox can try with the INVITE and if that does no work we can make a version that takes the audio part out in this case. I need to get rid of the audio which does have port 0. I know you all are just passing this through from exchange but can you offer any help on correcting it on exchange or correcting it in the pass through. I believe they are correct and if I can remove it the fax will pass through correctly. Also, are there other PBXNSIP users sucessfully doing inbound faxing. If so maybe I need to reinstall. I also found this it appears CISCO call manager is having the same issue can you help? Following is exerpt from microsoft forum. Microsoft and Cisco use two different standards for handling t.38 calls over SIP. The SIP signaling used by Microsoft Exchange to switch a call from audio to T.38 fax is not understood by CallManager, causing fax calls to fail. Specifically, Exchange sends SDP with two "m=" lines, one to terminate audio and one to enable fax session. However, CallManager interprets it as audio requests that terminate the audio channels. Currently CallManager only supports send/receive SIP INVITE signal to switch an audio call to T.38 call by a single image m=line in SIP SDP portion. This SDP signals the endpoint to replace the existing channels (audio in our case) and establish a new channel for T.38. Both implementations by Cisco CallManager and Microsoft Exchange conform to the standards (RFC3264 (MS) and ITU T.38 (Cisco)). Support for both standards is in development for CallManager, This functionality will be fully supported in CallManager 7.0. It is currently in a 'resolved' state meaning this functionality is tested and confirmed in development builds of 7.0. This is tracked via BugID CSCsg60357, but was private the last I checked. Hope this helps. If anyone can use this information to get this functional, I'd love to see it." Here is where it stands Broadvox is not going to fix the issue with multiple m records in the sdp any time soon. I need to move on. I am going to look for a SIP trunk vendor that does support this. At the same time does PBXnSIP have the abilility to recieve and forward inbound faxes? this is another alternative for us. There is a softphone that supports T.38 (kapanga, http://www.kapanga.net), that might be a workaround. I am having the same issue with a provider using genband. seems MS needs to remove the =m audio part to make most of the providers happy.